NYC Foodie Girl: Baby Cakes NYC: Where's the Wick? NOTHING is more insulting then a bad cupcake! 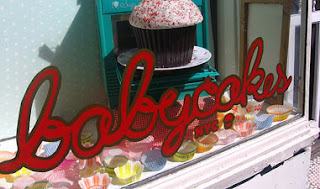 I was watching Ace of Cakes when, for some reason, I remembered Babycakes in NYC and how underwhelmed I was when I went there. I just had to do a search and see if anyone felt the same way. I have celiac disease and we were both sooo disappointed. What the cupcakes lacked in sweetness, they made up for in dryness. They reminded me of bad cornbread covered in a poor excuse for icing. I've since moved on to bigger and better gluten free cupcakes.